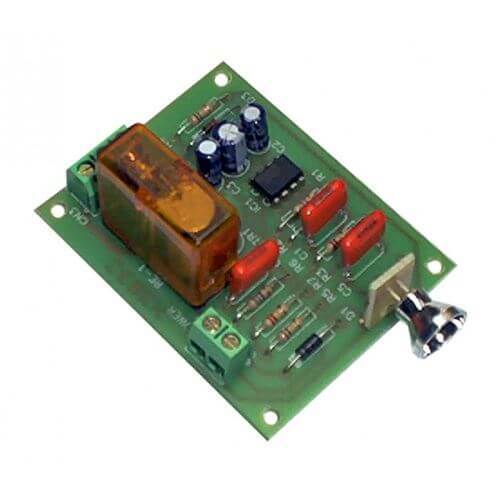 The CRJ005 is a Long Range Infrared (IR) Receiver Relay Module with a mains rated relay output that is active when the IR beam is detected. It can be combined with our CRJ004 Long Range Infrared (IR) Transmitter Module to create a long range infrared light barrier. Board is reverse polarity protected and has screw terminal blocks for connections.